Join the FED UP! Coalition - FedUp! Thank you for your interest in joining our grassroots movement comprised of passionate individuals and organizations calling for an end to the epidemic of opioid addiction and overdose deaths. The FED UP! Coalition is organized to send a single, unified message to the Federal Government, demanding action to end this public health crisis. Our concept is simple. 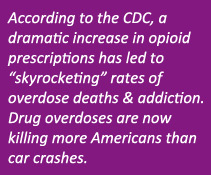 There are countless organizations and individuals, including parents and friends of lost loved ones, state coalitions, nonprofits, and large corporations, all insisting that the Federal Government take immediate and sustained action to end America’s opioid addiction epidemic. The FED UP! Coalition provides a platform to amplify our messages into a single, unified effort to hold the Federal Government accountable. The FED UP! Coalition does not, and never will, accept funds from pharmaceutical companies or the trade organizations lobbying on their behalf. We encourage you to join and support the FED UP! Coalition to help end the worst drug epidemic in U.S. history. Please join us today as a Sustaining Member or take your support to a higher level by becoming a FED UP! Sponsor.